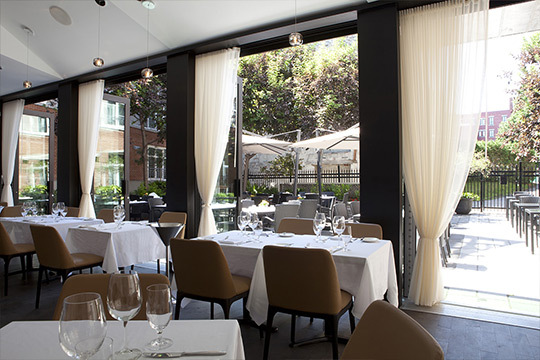 Rather than compromising our values by offering a reduced array of in-hotel spa packages and gym facilities, we chose to source and develop exclusive partnerships with high-end spa and gym services situated mere seconds away from Le Saint-Sulpice Hotel Montreal. Thanks to these privileged partnerships, our hotel guests are given free access to the gym center and benefit from special spa promotion rates. To schedule a spa treatment or a yoga class, all you need to do is contact our concierge on duty. Start your day with a great workout, maintain your training schedule while on vacation, or take the time to relax in heavenly surroundings, especially after a full day of meetings or excursions. Our partners share our commitment to treating you right, body and soul. Let’s take a few moments to get to know them. Inspired by a time-honoured European tradition, Scandinave Spa Vieux-Montréal offers absolute privacy and complete escape. This contemporary, eco-conscious environment of water, wood, stone, and natural light is an urban oasis in the truest sense. The Spa offers a hot tub with thermal waterfall, a eucalyptus steam sauna, a Finnish dry sauna, and a massage area, as well as rest and relaxation areas. In the comfort of your own Saint-Sulpice suite, recreate the Montreal hotel spa experience with expert therapists from Appia Nomadic Spa. Their certified massage therapists bring the spa to you within a few hours of booking your appointment. They make sure to give you exactly the type of massage you want and need. You will emerge fully relaxed and rejuvenated, both physically and mentally. What’s more, a full spa menu is available to complete the experience in your suite! With this gym centre located steps away from the hotel, it’s easy to stay on your fitness track! U.N.I. Training offers a complete workout experience with cutting-edge cardiovascular and weight training machines, floor exercises, and training on unstable surfaces. Their attentive and certified staff will be happy to help you stay on top of your game! While access to training is free for Le Saint-Sulpice Hotel guests, additional charges may apply for other gym services. Located just a 3-minute walk from the hotel, Yoga Vieux Montréal offers our guests preferential rates for classes at the studio. What’s more, personalized classes can be given in your hotel suite. There is a class for every skill level, from beginner to advanced, including restorative yoga. Make yourself at home. 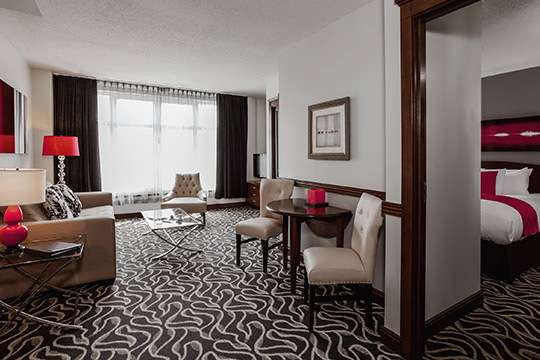 Each one of our 108 hotel suites provides the space and amenities to truly experience Montreal in comfort and luxury. 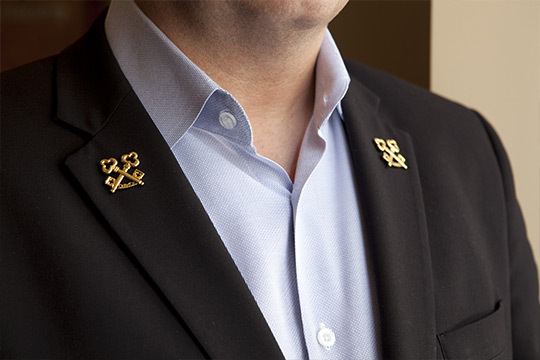 Free wifi, room service, valet service, and Les Clefs d’or certified concierge service... We are always available to meet your needs and expectations.